Transparencies are masked when appropriate. 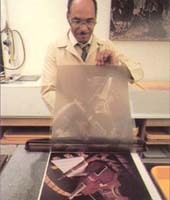 A procedure called masking is often used when reproducing from color transparencies. Anywhere from three to dozens of separate masks can be used to help achieve a more accurate or desirable color balance. Matrices are processed and dried. 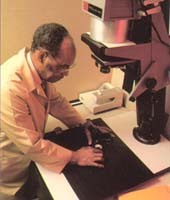 The matrices are developed, fixed, washed in hot water, and dried. The images that remain are gelatin reliefs that vary in thickness with the degree of exposure. Color-separation negatives are made if necessary. 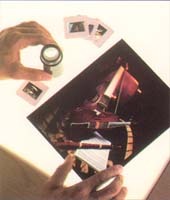 Three color-separation negatives are made through red, green, and blue filters. (This step is necessary when reproducing from a color transparency, but not when a color negative or internegative is used.) Matrices are soaked in appropriate dyes. Specific matrices are soaked in cyan, magenta, or yellow dye, with each matrix absorbing dye in proportion to the thickness of the gelatin. 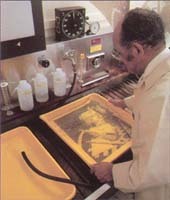 Matrices are exposed for use in the hand-printing process. 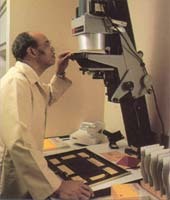 Three color matrices that will eventually serve as "color printers" are exposed from the separation negatives, the color negative, or an internegative. The color print is rolled. 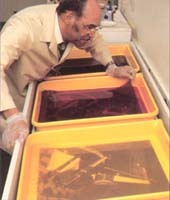 The three dye images are rolled, one at a time, in register, onto a sheet of dye transfer paper. 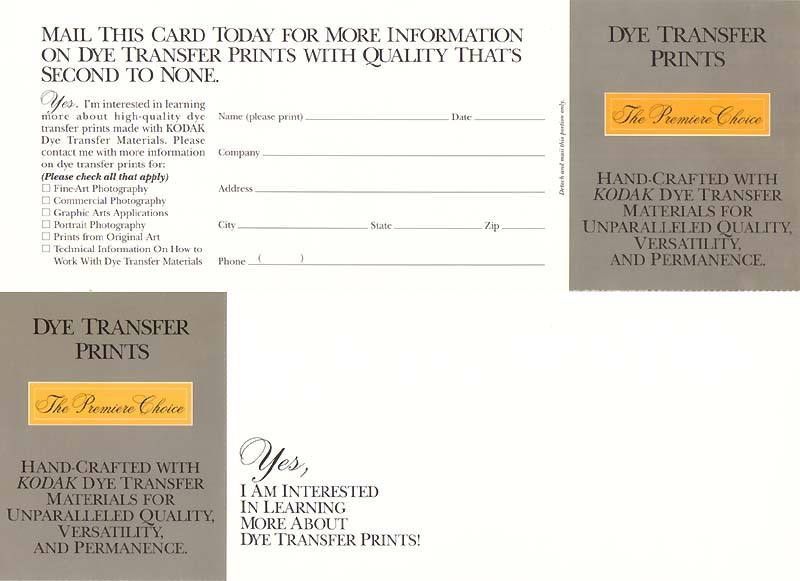 The dye transfers (hence the name) from the matrix film to the paper, creating a color print.